Nainital Bank Jobs Recruitment Notification 2019.Nainital Bank Ltd. inviting applications for the positions of Internal Ombudsman.Interested and Eligible candidates can apply for the positions. Last Date for Submission of Application is on April 21st, 2019. Candidate age limit should not exceed 70 years. 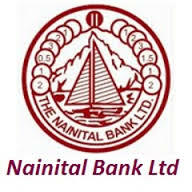 Go to official website nainitalbank.co.in. Click “Recruitments/ Results” find the advertisement “Requirement of Internal Ombudsman (on Contractual Basis)”, click on the advertisement.